Notes to "Partly Told In Letters"
1 On 'free indirect speech' and 'narrated consciousness', see Dorrit Cohn, 'Narrated Monologue: Definition of a Fictional Style', Comparative Literature, 18 (1966), pp. 97-112; Norman Page, 'Frequent Conversations' in The Language of Jane Austen (New York: Barnes and Noble, 1972), pp. 114-67; Roy Pascal, The Dual Voice: Free Indirect Speech and its functioning in the nineteenth-century European novel (Towota, New Jersey: Rowman and Littlefield, 1977), 1-32, 67-97; Bill Overton, 'The Interior View' in The Unofficial Trollope (New York: Barnes and Noble, 1982), pp. 105-22. 2 David Pearson, '"The Letter Killeth": Epistolary Purposes and Techniques in Sir Harry Hotspur of Humblethwaite', Nineteenth-Century Fiction, 37 (1982), pp. 396-418. 3 For my understanding of epistolary fiction I owe a great deal to A. D. McKillop, 'Epistolary Technique in Richardson's Novels', Rice Institute Pamphlet, 37 (1951), 36-54; Robert Adams Day, Told in Letters (Ann Arbor: University of Michigan Press, 1966); François Jost, 'Le Roman épistolaire au XVIIIe siècle', Comparative Literature Studies , 3 (1966), 397-426; and Janet Gurkin Altman, Epistolarity: Approaches to a Form (Columbus: Ohio State University Press, 1982). 4 See 'Clarissa' in Writings for St Paul's Magazine: Anthony Trollope , compiled and introduced by John Sutherland (New York: Arno Press, 1961), pp. 163-72; also Trollope's letter to Dallas, N. John Hall's The Letters of Anthony Trollope, 2 vols. (Stanford: Stanford University Press, 1983), i, p. 444-45. 5 In Kathleen's Ward's 'Dear Sir or Madam: The Epistolary Novel in Britain in the Nineteenth-Century' (Ph.D. Dissertation, University of Wisconsin-Madison, 1989), p. 13, Ward expresses surprise at how rarely after Richardson novelists availed themselves of the real obstacles a letter has to pass through before it reaches a recipient. She suggests that in all nineteenth-century novels 'letters arrive with breathtaking promptness, even if they are supposed to be coming to England from Italy or from Amrican during the War of 1812'. She has forgotten Trollope. 6 The years cited after a mention of each novel or short story when the occasion seems to warrant it record when Trollope wrote each fiction; in those few cases, mostly short stories, where we only have a publication date I give an approximate date of composition. The numbers in parentheses which appear after quotations from the novels and An Autobiography indicate the chapter in the novel in which the passage may be found; for the sake of the comparative clarity to be gained through consistency, I have used consecutive numbers throughout. 7 In nineteenth-century novels, letters in either omnscient and fully epistolary novels are most often 'efforts to communicate ... to maintain an emotional or, sometimes, an intellectual relationship despite a physical separation'; see Ward, pp. 187-297. 8 See also at the novel's close Arthur Wilkinson's exchange with Adela Gauntlet (The Bertrams 42, 43). It is worth noting that this couple marry on the same day of the year as Anthony and Rose Trollope, June 11th, and the narrator urges us to 'trust that the day may always be regarded as propitious'; Trollope's new reliance on the self-revelatory type of letter in this novel may be connected to the strongly autobiographical material in this novel; see Lawrence Jay Dessner, 'The Autobiographical Matrix of Trollope's The Bertrams', Nineteenth-Century Fiction , 45 (1989), pp. 25-38. 9 While one can find many fleeting brief uses of a subjective response to a letter in fictions where intensity is required, e.g, Wilkie Collins's The Moonstone (1868) or Margaret Oliphant's ghost story, 'The Open Door' (1882), there are only a few nineteeth-century novels in English where this interwoven subjectivity becomes the basic narrative method for long stretches of the narrative. Even here either the sequence is kept relatively short or it's not central to the method of the fiction as a whole: the Portsmouth episode in Jane Austen's Mansfield Park (1814); the opening third of Sir Walter Scott's Redgauntlet (1824); scattered places in the interspersed diary-journal and letters in the long middle section of Anne Brontë's The Tenant of Wildfell Hall (1848); in a couple of chapters of George Meredith's Evan Harrington (1861); and throughout the third story of Elizabeth Gaskell's Cranford, 'Memory at Cranford, or Old Letters' (1852). Day points out instances of this sort of mixed narration in fiction before the mid- eighteenth century, but it is usually crudely done and without the use of free indirect speech. 10 You can in The Vicar of Bullhampton read the love story of Mary Lowther, Walter Marrable and Harry Gilmore by reading the letters in Chapters 14, 18, 21-22, 33-34, 37, 39-40, 54, 59, 64-65. See also Pearson, '"The Letter Killeth", p. 397, and the epistolar interlace of An Eye for an Eye (1870), Chapters 1-2, 9-11, 13-15, 17-19. 11 I cannot be certain my numbers are faultlessly accurate. Since from Dr Thorne on, Trollope doesn't necessarily leave a space on the page, open the letter with a salutation, and close it with a signature, but intertwines many of them, by the middle of his career several at a time, it is possible to miss letters. I attempted to count described, cited, and summarised letters, letters which were destroyed, not sent, and thought about, cards and telegrams which were quoted and figure centrally in the action, as well as correspondences which were numerical; for the sake of comparative clarity, I also counted determinate and indeterminate series of correspondences as one semi- epistolary narrative each as they are similar in effect ot a single iserted or interwoven letter. I think I caught most of them; where I didn't, I believe my numbers still reflect the relative proportions of pages to numbers of letters in any given novel. One cannot count letters in Trollope's novels by using a computer since sometimes he uses neither the word letter nor note; in any case, there are e-texts for very few of them. 12 See, for example, 'The Courtship of Susan Bell' (July 1859), 'The House of Heine Brothers in Munich' (April 1861), 'The Mistletoe Bough' (August 1861), 'Miss Ophelia Gledd' (March 1862), 'The Telegraph Girl' (1877), 'Alice Dugdale' (May - June 1878). Trollope's Editor's Tales, 'The Adventures of Fred Pickering (?March 1864 - spring 1867), with thirteen, and 'The Lady of Launay' (March 1878), with eleven letters, are rare exceptions. 13 The use of letters in the short stories resembles that of Linda Tressel and The Golden Lion of Granpère(both written in 1867). These are two brief mid-career novellas which depict people who live in cultures where writing is highly uncommon, and Trollope uses letters in them to dramatise crises and turning points in the books (Linda Tressel 7, 12-13, 16; Golden Lion 15-16). 14 The resemblance of interlocutory letters and stage dialogue is discussed by just about everyone who has ever written about epistolary narrative or specific epistolary books. The novel which makes the most riveting use of antiphony is Les Liaison Dangereuses by Choderlos de Laclos (1782); for contrasted voices in opposition used centrally in Trollope, see The Belton Estate (1865) at key turning points in the action (2, 16-18, 21, 32). 15 The Eustace Diamonds (1869-70), contains fifty-eight letters, three of which are our heroine's drafts of one letter, and another which is written, not sent, and then destroyed after the writer reads someone else's letter upon the same subject. Correspondences not discussed below include include: Lizzie and Frank Greystock; Lizzie and her other relatives; Lizzie and Frank Greystock, Lizzie and Lord Fawn; Lizzie and her friend, Mrs Carbuncle; Lizzie and Joseph Emilius, Lizzie and Lucy; Mrs Hittaway (Lady Fawn's daughter) and the Fawns; Mrs Carbuncle and the guests invited to her ward, Lucinda Roanoke's wedding; Mr Camperdown and Frank and various other lawyers; and a series of interchanges between Lady Glen and the Palliser characters commenting on what is happening inthe other plots of the book. 16 Pearson, '"The Letter Killeth"', pp. 410-411: 'typically, [Trollope] establishes a situation of conflict ... and then proceeds to introduce correspondence which dramatises, perhaps even more than conversation, the possibilities in or future direction of this conflict'. See also The Vicar of Bullhampton 15. 17 Possibly the most famous epistolary novel in which nothing outward happens is Johann Goethe's The Sorrows of Young Werther (1774). Trollope probably read a nineteenth-century version of the type in Edward Bulwer-Lytton's Falkland (1827). Characters who are paralysed by a dilemma which occasions their story are common in Trollope's later novels, but the sort of triangular story in which hero and heroines are kept apart and conflicts arise between the need for money and the desire for love that is closest in its use of epistolary technique to what we find in Lucy Morris and Frank Greystock's story in The Eustace Diamonds is the story of Harry Clavering's vacillation between Florence Burton and Julia, Lady Brabazon in The Claverings ; the large number of and reliance upon letters in that novel is justified by its inward focus. A similar situation arises between Lily Dale and Adolphus Crosbie in The Small House , but it is resolved by Crosbie's ignoble letter interwoven half-way through the book (31). 18 See, by contrast, the triangle of Mrs Hittaway's letters to Lady Fawn and her sister, and Lord Fawn's letters to Lizzie, wherein he is driven by these family letters and threatening letters by Frank Greystock, The Eustace Diamonds 12, 14, 20, 30, 32, 56, 67-68, 73. In The Small House, The Last Chronicle and The Way We Live Now, we find various triangular love stories (Johnny Eames-Amelia Roper-John Cadell, Lily Dale-Johnny Eames-Madalina Desmoulins story, Sir Roger Carbury-Henrietta Carbury-Paul Montague-Henrietta Carbury, and Mrs WinifridHurtle-Paul Montague-Henrietta Carbury), all of which use triangles of this kind to dramatise complicated psychological treacheries. For earlier less intricate but similarly triangular patterns see Castle Richmond 14, 37; Framley Parsonage 4-5, 30, 35. 19 I do not include Trollope's last novel, The Landleaguers in this spread since its depiction of nightmare paranoia and murderous treachery is best understood in terms of what we find in Trollope's other Irish novels, The Macdermots, The Kellys and O'Kellys, Castle Richmond, An Eye for an Eye, and two Irish stories, 'The O'Conors of Castle Conor, County Mayo' (?September-October 1859) and 'Father Giles of Ballymoy' (?just before May 1860). 20 It is worth noting though that except for the book's angel, the letter-writers of Ayala's Angel are also drawn somewhat exaggeratedly obtuse, selfish, stubborn and egocentric (7, 8, 9, 12, 14, 20-21, 34); their letters always irritate, harass or grieve someone (35- 36, 41-42, 69). 21 Again, while Marion Fay contains letters which broadly parody types of aristocratic women, busy ambitious politicans and shameless boors, this novel also has a singularly mean-spirited anonymous letter which figures centrally in all its stories; two separate series of bullying and sycophantic, and blackmailing letters (in some of which murder is contemplated (11, 19, 26, 30-31, 46, 63). 22 See Tony Tanner's 'Trollope's The Way We Live Now: Its Modern Significance', The Critical Quarterly 9 (1967), 256-71. 23 This series of letters continues with the encounter between Rufford and Arabella at Mistletoe (The American Senator 36-40) which leads to the book's climactic dramatic scene (67); letters between Rufford or his much more intelligent brother-in-law, Sir George Penwether (who dictates Rufford's letters) and Arabella in which the woman continues to attempt to ensnare the man and the man to elude her (44-45, 48-49, 61-62, 66); and John Morton's letters, which however honourable, read dully and are the letters of a man duped by his incapacity to understand the minds of others or his own (50). 24 Gotobed's letters repeat a type in Phineas Finn (1866-67). Another elected representative of a group of people, Joshua Monk, Liberal Member of Parliament, in his role as mentor, writes for his protégé, Phineas, an analysis of the English political system (35) whose gradualist approach to reform also closely resembles Trollope's own (An Autobiography (16-17, 20). 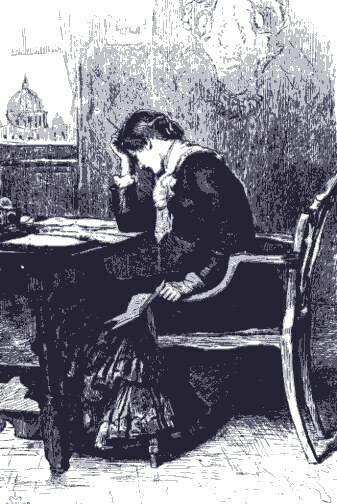 Monk is, however, a realistic character who lives among sophisticates who solve problems through compromise; the context allows Trollope to use this figure to focus on principles and depict a exemplary picture of the kind of representative government which will produce useful laws. 25 David Stryker, 'The Significance of Trollope's American Senator', Nineteenth-Century Fiction, 5(1950), pp. 141-49; Ruth apRoberts, 'Trollope's One World', South Atlantic Quarterly, 68 (1969), pp. 463-77; John F. Hynes, 'The American Senator: Anthony Trollope's Critical 'Chronicle of a Winter at Dillsborough', English Studies, 69 (1988), pp. 48-54. Page Last Updated: 11 January 2003.